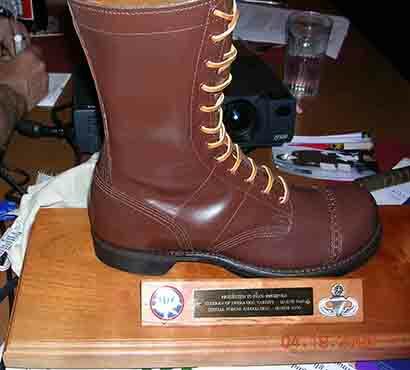 Paul "Rocky" Rochford's talk on the 17th Airborne Division's Rhine jump, Operation Varsity, and the Rhur battles which followed. "Go ahead, Joe. If you don't bust it you'll worry about it all night." Then Pres. 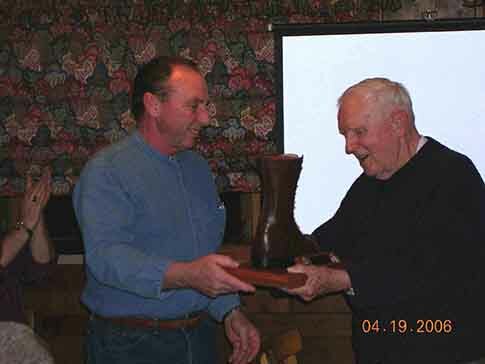 Denny Gardiner presents Paul " Brown Shoe" Rochford with a memento he crafted, to demonstrate our regard for his service to C-48 and the U.S.